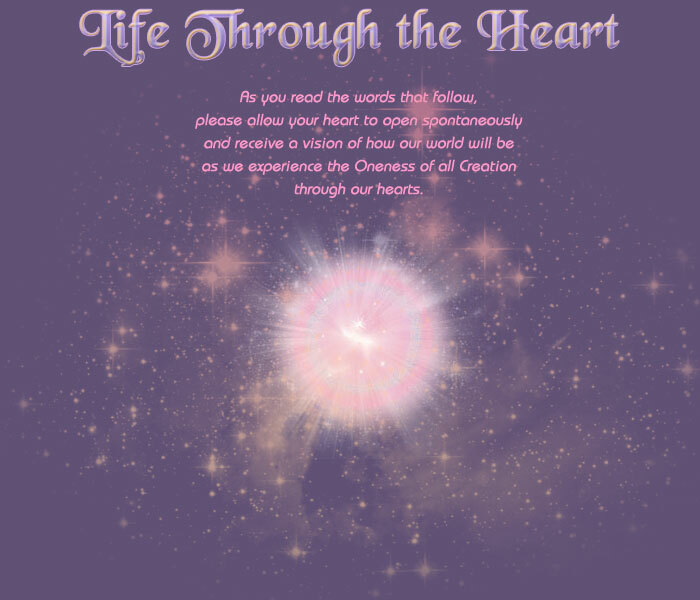 As the heart — not the mind — becomes our instrument of perception and we return to a natural communion and ongoing flow of Love from our Creator — feelings, intuition, knowing become our guides. We reclaim the gift of perfect guidance for each situation. We also reclaim our unlimited creative capacity to co-create with God. We return to the God beings we truly are. We begin to realize that our lives in the world that is before us are only one of many adventures we have experienced as beings of consciousness. From this expanded vision, we see that we are the creators of everything in our daily world, and everything we see before us is a symbol of the state of our hearts. There is no external reality. We have created it all. What is before us is the reflection and projection of the beliefs in our hearts. The larger world is the collective consciousness of the hearts of all humanity. It contains all of the collective beliefs that have clouded the pure Love and only Love of the heart over many eons of life on Earth. Many of these clouds are especially evident at this time as they come to the surface to be washed by God’s Love and the opening of hearts everywhere. We play an active part in this transforming process. As our hearts surrender naturally to the Will of Love, the Will of God, the Highest Good of All, our lives open to joy, ecstasy, creativity beyond our wildest dreams. God pours the Love energy through us and we are the co-creators who direct it. The vibration of Love and only Love shifts our world completely. We begin to truly live in what we might call Paradise. Our open hearts are magnetic. 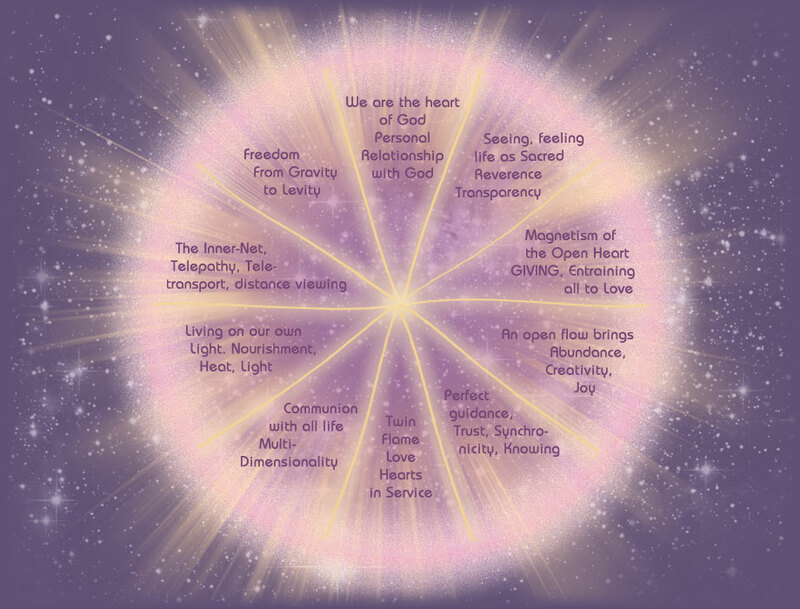 As we open to Love and only Love, the vibration of Love draws to us more hearts, who then do similar magnetic service. We entrain every heart on Earth to Love until every one of us is full to overflowing with the truth of Love in every single being. We become more and more aware of every being as sacred and holy. This creates a “feed back loop” where every heart gives fully and every heart receives the truth of God’s presence as all things. All of this occurs naturally, without any planning. May we share with you the vision of Life through the Heart? This is the life we create together. back button to return each time.